Dr. Michael Codsi is an orthopedic surgeon who specializes in shoulder surgery. He wanted to be able to direct his patients to resources that are related to general shoulder ailments, insurance, the process and preparation for impending surgery, and physical therapy information. 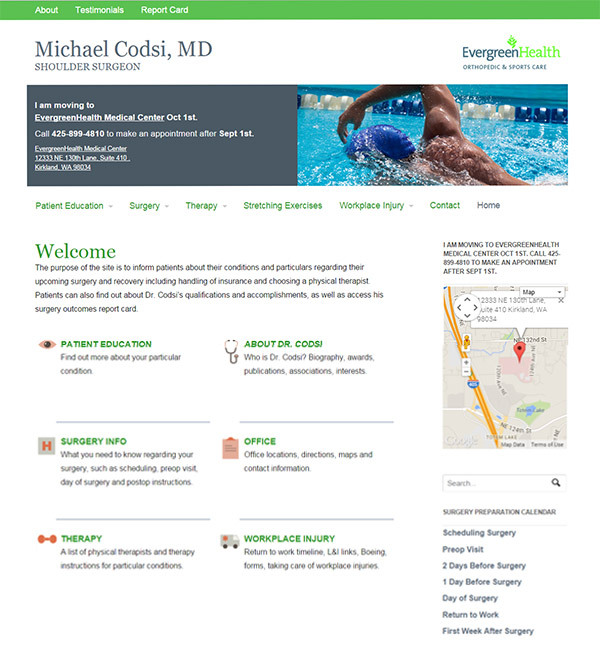 As an associate of EvergreenHealth Center he wanted his resource site to appear as part of the EvergreenHealth family.